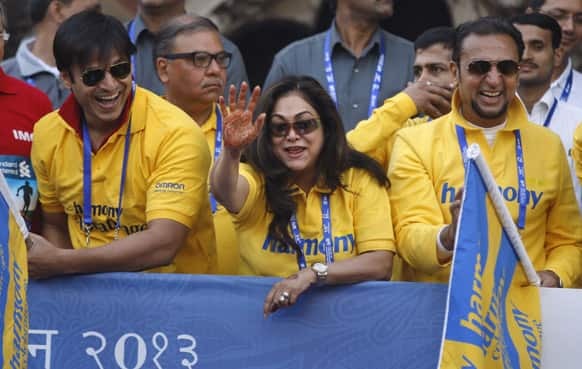 Bollywood actors, from left, Vivek Oberoi, Tina Ambani and Gulshan Grover cheer up during the Mumbai Marathon. Actress Shailene Woodley hangs loose at the Lipton Uplift Lounge, taking a break from the Sundance action in Park City, UT. Katy Perry performs during the Kids' Inaugural: Our Children. Our Future." event in Washington. Director, writer and producer Liz Garcia, left, kisses her husband and cast member Joshua Harto, right, as they pose together at the premiere of "The Lifeguard" during the 2013 Sundance Film Festival in Park City, Utah. Actors Jane Seymour, left, and Joseph Gordon-Levitt hug at the Fender Music lodge during the Sundance Film Festival in Park City, Utah. Italian actress Monica Bellucci accompanied with Milorad Dodik, right, president of the Republic of Srpska, right, and Emir Kusturica film director, left, during a visit to Bosnian town of Banja Luka, Bosnia. 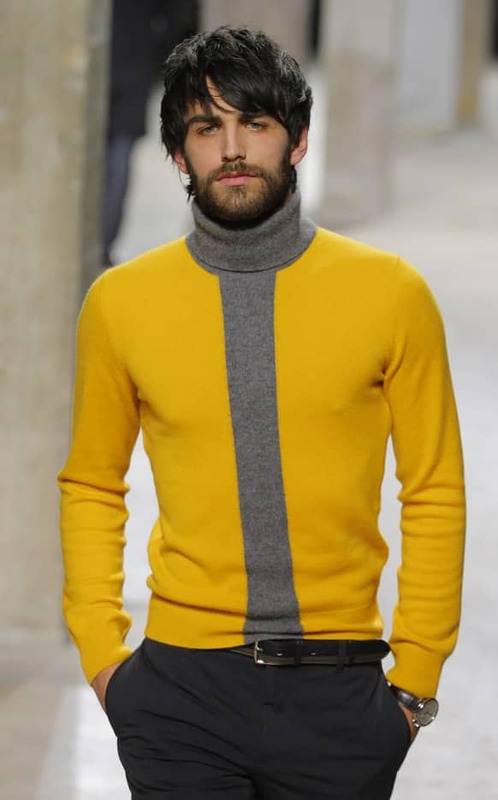 A model wears a creation by French fashion designer Veronique Nichanian as part of the Men's fall-winter 2013-2014 fashion collection presented in Paris. Taarak Mehta Ka Ooltah Chashmah: This actress to replace Disha Vakani aka Dayaben on the show?